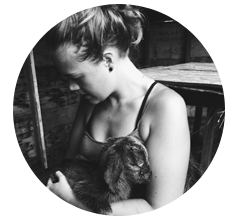 A ‘WWOOFer’ is one who partakes in the program and the farmers are the hosts. We’ve hosted WWOOFers on our farm and managed them on the farm we worked on in Australia. It’s a great way to meet new people, swap stories and share knowledge. This time it is my turn to be the WWOOFer. ‘Learn by doing’ is the best way for me to really soak in the knowledge and although we’ve had our fair share of lessons with our own small trip of goats, a month spent with roughly 60 happy goats, milking close to 40 does, is just what I need to continue my education.